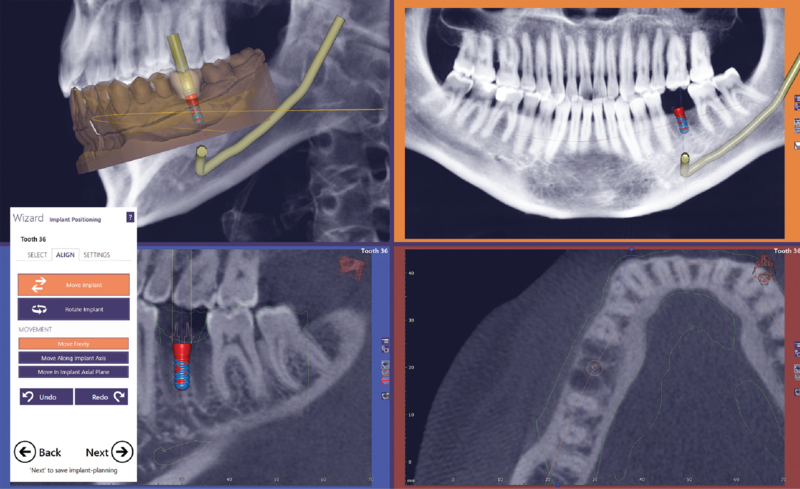 Virtually treatment plan your cases using CBCT DICOM data. Visualize the dental arch in 3D and establish the ideal drilling trajectory and depth for every case. With our integrated Restoration design module, you can implement restoratively-driven implant planning; design provisional abutments and crowns based on your treatment plan before surgery. All relevant Impressions, Stl.files, X-Rays or CT Scans.